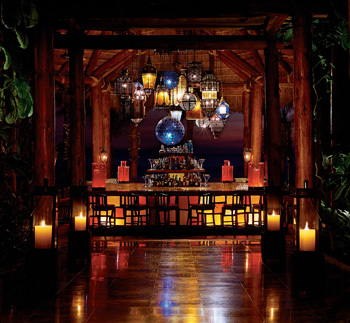 Make your resort a luxurious vacation getaway with Stained Glass Inc.
Wow guests at your resort with intricate stained glass décor from Stained Glass Inc. All stained glass can be customized to match any style or theme of your décor and can incorporate any image or text you desire. If you want your designs to appeal to families of all ages, consider creating a unique, lively window display or a wall mural composed of custom stained glass panels. These beautiful and inspiring works of art will surely catch anyone's eye just as they catch the sun's sparkling rays. Boost the appearance of your resort's front desk with a custom stained glass counter front or customize each room with a Stained Glass Inc. light fixture. With the world's largest selection of designs and the ability to create something completely custom, Stained Glass Inc. is sure to have what you are looking for. Call today to speak with one of our knowledgeable stained glass design specialists about the perfect stained glass for your resort.